What? Simplicity can be elegant as demonstrated by this checked dress from Coast. The Kim Mono might sound like a Japanese dressing robe but it’s actually a glamorous fitted dress. 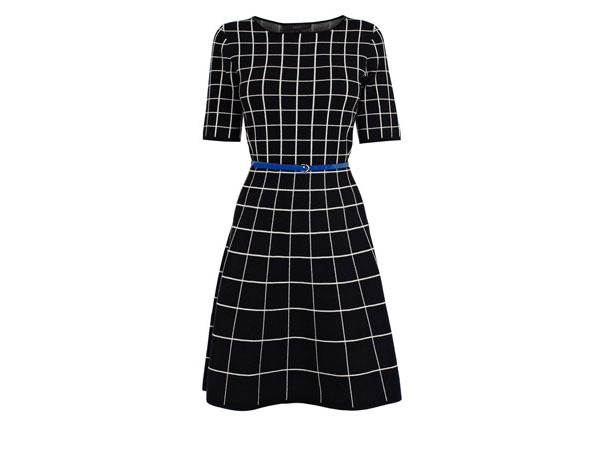 A simple black and white check pattern set off by a waist-chinching blue belt is all that it takes for this dress to be an outfit in one. Priced at £85.